The Silicon City Of The Country Welcomes You! The beautiful city of the state Karnataka is its capital, Bangalore,bestowed with best climate, location and utmost the people it made. The silicon city of the city is well connected to all the country. The roads are a thrill for the long drive lovers, and the train connectivity ample. The pleasant climate makes it travel in the city within and outside comfortable. The city is always busy with commuters within the city. 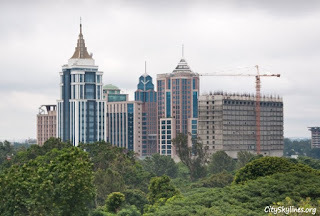 People feel that Bangalore is one of the best approachable cities. Travelling within in the city is easy because of the plenty of options, reasonable auto prices and frequent public transport. Despite the heavy traffic in the city the traffic police does a good job making travel within the city bearable. The city is geographically located in such a way that it is least prone to any natural calamity like Earth quake or landslide. The drainage system is well planned and established, eliminating stagnation of water and avoiding occurrences of floods. You could see innumerable well built multi storey building well maintained along with preserving the old heritage buildings. I have lived for many years in Bangalore, visited and stayed in many cities around the country and have found that the city has one of the best design and is continuously striving to maintain and improve it. In India, any city, any part is connected by the people and the aura it gives. This city is home for people not only native to the place but also to people coming various places within the country. Although the native language is Kannada, you don’t necessarily know unlike many other cities. English, Hindi, Tamil and Telugu could also make you survive in the city. Various reputed universities, colleges, companies and startups bring the best crowd to the city. Food has never been a problem in the city. Any cuisine is available at any time. The variety in the cuisine available across the city reflects the social and economic diversity of Bangalore. 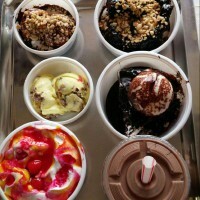 You have one of the best ice cream shops which ensures you keep coming back. There are various recreation and vacation spots available in and within the city. The city is beautified by various well designed parks and lakes. There are boulevards of trees lined across the streets. The flora and fauna in the city is ravishing. Well,its supposed to be the garden city after all! Occasionally the city is host to various literature, technical and cultural fests and exhibitions. The stadiums also host various sport events. The IPL matches attract people from all over the world. 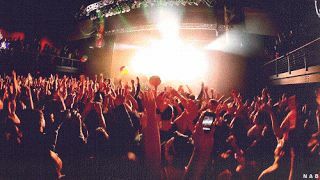 Bangalore hosts concerts by International and local bands. Like any other city there are flaws in Bangalore as well. The people in Bangalore believe in not fretting but in improving and helping anyone in need. Drive to Bangalore to fall in love with the charismatic city. I promise you will never regret a single minute or rupee spent.